Heading to Newport, Rhode Island, with kids? Known as the summer playground of rich industrialists during America's Gilded Age, this Narragansett Bay town still retains its resort status and offers plenty for families to do on a getaway, from hitting the beach to visiting mansions and museums. Put these fun activities on the top of your to-do list. The easiest ways to get a feel for the Gilded Age splendor of Newport is to explore its famed 3.5-mile Cliff Walk, a paved trail that winds along the coast and passes dozens of historic mansions that could have lept off the pages of Edith Wharton's The Age of Innocence, which just happens to have been set in Newport. This trail also offers spectacular views of the Atlantic Ocean. 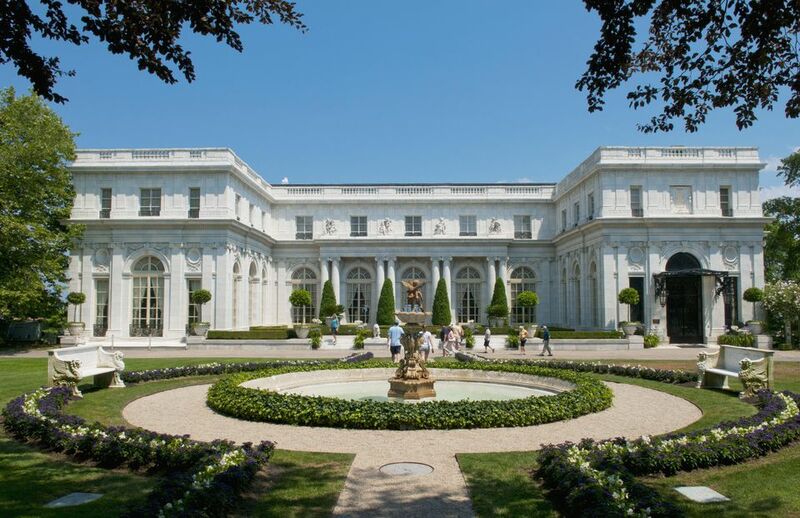 The most famous of Newport's eye-popping mansions is The Breakers, the 70-room opulent "summer cottage" built by the son of Cornelius Vanderbilt. The estate epitomizes the ultra-wealthy lifestyle of turn-of-the-century American robber barons. The Breakers offers a just-for-kids audio tour that brings the place to life with tales from the children who once lived there. Got a sweet tooth? Be sure to stop at the Newport Fudgery (359 Thames St.) to get your fill of saltwater taffy and homemade fudge. Time it right, and you may be able to see candy makers making their hand-whipped fudge in copper kettles. Newport is synonymous with sailing. There's arguably no better way to explore the local waters on a 90-minute sunset harbor cruise aboard the 72-foot Madeleine, a beautiful triple-masted schooner that combines 19th-century style with 21st-century yacht comfort. Daytime cruises are also available. Got a budding artist in your midst? Newport boasts the National Museum of American Illustration, founded in 1998 and the first national museum devoted exclusively to American illustration artwork. Love milkshakes? Make a beeline for the Newport Creamery, a New England ice cream chain that's home of one of Rhode Island’s most iconic drinks, dubiously called the Awful Awful. This sinfully rich concoction of milk, flavored syrup, and frozen ice milk is known for its nickname, a shortened version of the slogan “Awful Big, Awful Good.” It comes in several sizes and many flavors. If your family loves baseball and you visit during the summer, try to catch the local wooden-bat collegiate team in action. The Newport Gulls play in downtown Newport, with tickets priced for a cheap family outing. Climb aboard for a one-hour boat ride with Save the Bay Seal Watch Cruises, which cruises around historic Newport Harbor, offering great views of the seals resting on Citing Rock and the Newport Bridge. The Save the Bay Exploration Center and Aquarium is home to over 40 species of sea life native to the Narragansett Bay area. Three touch tanks let kids get up close and personal with little skates, urchins, spider crabs, sea stars, dogfish sharks and more. Tennis-loving families will love this museum that occupies the historic Victorian-era Newport Casino overlooking 13 manicured grass tennis courts. The Hall of Fame collection traces the game's history from the Middle Ages to modern times and features a vast amount of interesting tennis memorabilia.